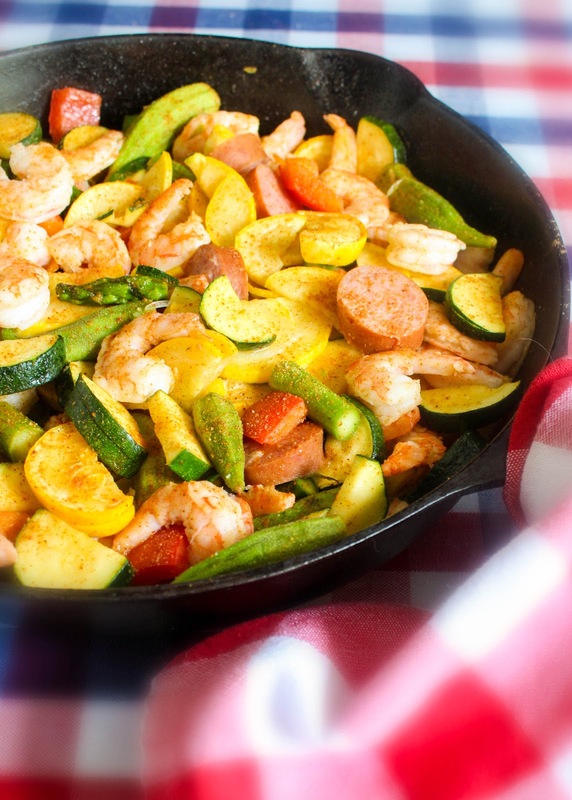 Southern Shrimp Sausage Vegetable Skillet, fresh summer vegetables, turkey kielbasa, and shrimp layered in a skillet with a sprinkle of spicy! Who says healthy can't be delicious? 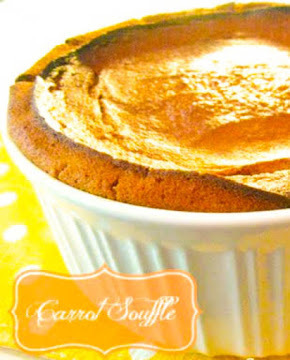 If you are looking for a low carb meal that takes literally 20 minutes to make, then you are in luck. 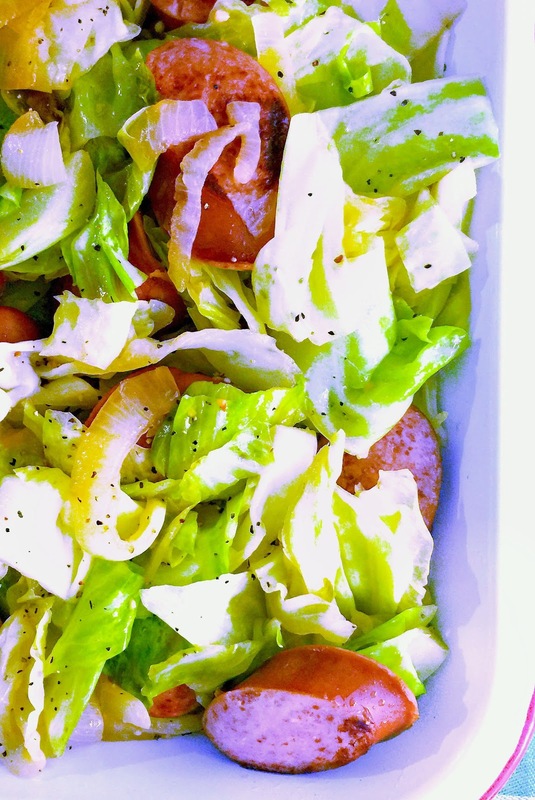 An added bonus is all the fresh vegetables in this recipe is in season right now. Summer never looked so good or should I say, Tasty! haha! 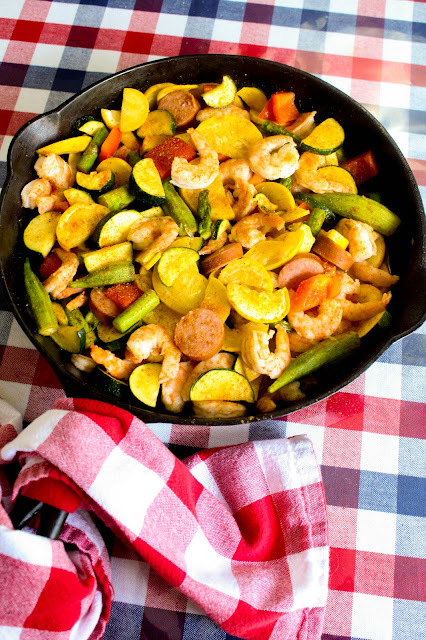 I love all the gorgeous color in this Southern Shrimp Sausage Vegetable Skillet one pot meal. 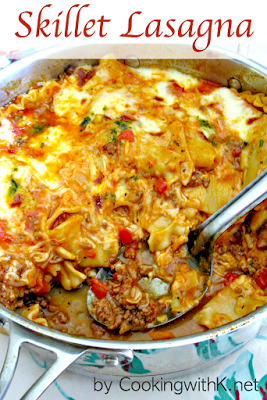 An easy colossal one pot meal. After seeing the recipe for Shrimp Sausage Vegetable Skillet on a social media site, I decided to adjust the recipe to the eating plan I am on and keep it southern. I substituted the sausage for turkey kielbasa and used old bay seasoning for a spicy seasoning, and instead of using olive oil I use avocado oil. To keep it southern I added a handful of small okra pods. 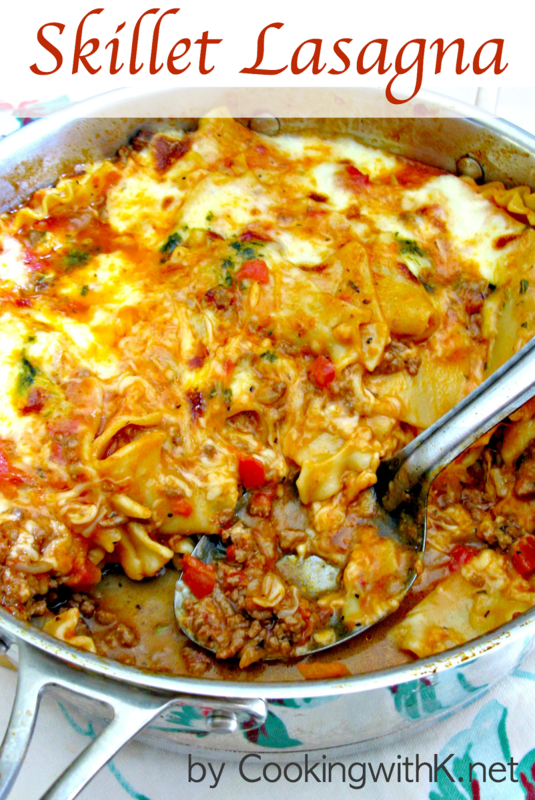 This is what I love most about this recipe, you can make it to fit just about any eating plan and still get a meal that is packed with excellent flavor in only 20 minutes. To make this Shrimp Sausage Vegetable Skillet a make-ahead weeknight dish, chop the vegetables the night before and place in the refrigerator until time to cook the meal. If you are using frozen shrimp, also place them in the refrigerator the night before too. See what I mean---ready in 20 minutes, genius! 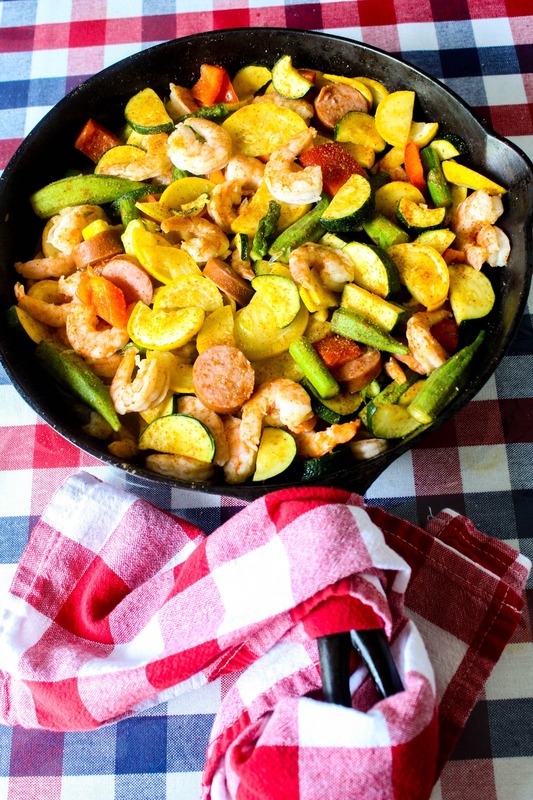 I like to sear the shrimp and the sausage first, remove them from the skillet and then add the veggies to skillet and saute in the juices from the shrimp and sausage. As they begin to get bright add back the shrimp and turkey sausage. Generously sprinkle with the spices. And your meal is ready. 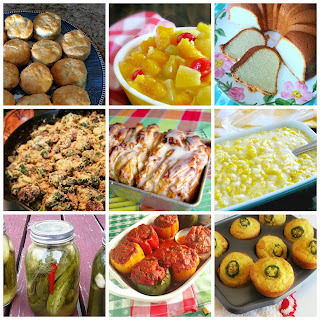 This dish is so versatile and did I mention EASY? Enjoy! 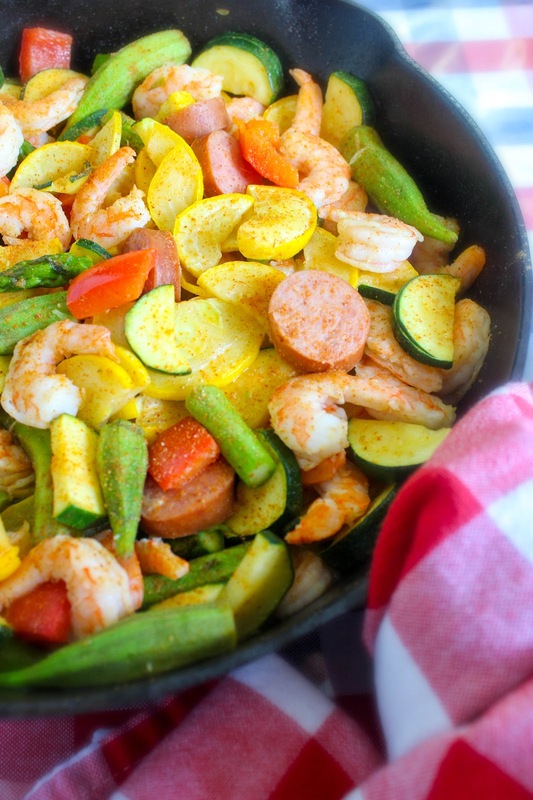 Fresh summer vegetables, turkey kielbasa, and shrimp layered in a skillet with a sprinkle of spicy! Who says healthy can't be delicious? Add 1 tablespoon avocado oil to a large cast iron skillet. Heat oil on medium high heat until hot but not smoking. Add shrimp and sausage. Cook the shrimp and sausage until lightly brown. Turn over and cook 1=2 more minutes. Remove from the skillet and transfer to a platter. Add the reserve avocado oil. Scrape bits of the browning bits on the bottom of the skillet. Immediately add all the vegetables. 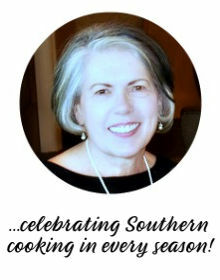 Stir with a large spoon or tongs. Cook until the vegetables turn bright in color, approximately 3-5 minutes. Do not overcook, vegetables will be done but crisp. The time of cooking will vary according to the size of the vegetables. Add back the shrimp and sausage. Toss all together and remove skillet off the burner immediately. Also, may transfer to a larger platter.